Anyone who survives a Nebraska winter knows just how important it is to make the most out of the warmer months! 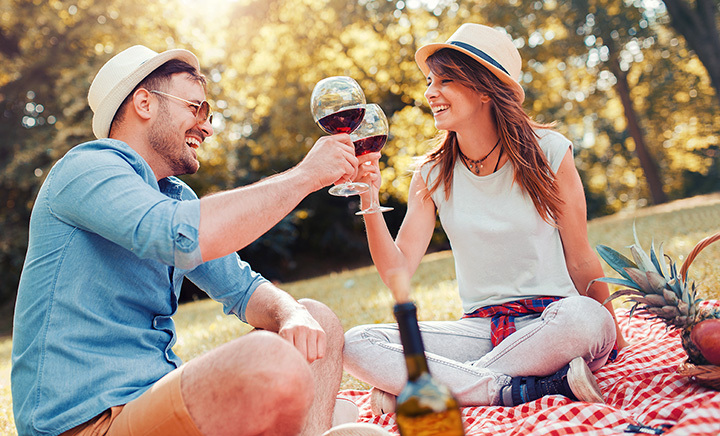 One of the best ways to enjoy the nice weather is to go out and enjoy a picnic at one of the wonderful outdoor parks and spaces Nebraska has to offer. So fill up your picnic basket—here are the 15 best picnic spots in Nebraska! The sculpture garden outside the Sheldon Museum of Art is a beautiful spot for a picnic. It’s located on the University of Nebraska-Lincoln campus, but there is much less foot traffic here than other areas. The Niobrara State Park features picnic spots with spectacular views overlooking the intersection of the Niobrara and Missouri Rivers. Dramatic cliffs, waterfalls, and wildlife make this state park a top spot! Located just outside the city limits of Omaha, Chalco Hills offers 245 acres of space for hiking, walking, and of course, enjoying a picnic. Riverside Park in Neligh is located alongside the Elkhorn River and offers picnic-goers some amazing scenic views of the river. Named as one of the “300 Best Gardens to Visit in the United States and Canada” by National Geographic, the Sunken Gardens in Lincoln don’t disappoint. The gardens feature plenty of green space and benches to enjoy a picnic and admire the over 30,000 plants. If you’re looking for a picnic area with access to the Missouri River, this is the place. Plan your picnic at one of the picnic shelters then go fishing or boating! With plenty of hilly greens, scenic views, and shaded picnic areas, Pioneers Park in Lincoln offers plenty of options for a nice day out. Picnic tables and shelters are also available. Wildwood Park in Nebraska City has plenty to explore as well as some fantastic picnic spots. Shelter areas and grills are available throughout the park and dogs are welcome to join in on the picnic fun at the Wildwood Dog Park! One of the largest parks in Omaha, Elmwood Park is a spacious spot right in the heart of the city with plenty of room for picnics around the lagoon. Ponca State Park provides some excellent picnic areas—tables and fire pits are available throughout the picturesque park along the Missouri River bluffs. Wellfleet Lake is a gorgeous area located north of North Platte with excellent fishing and picnic areas. Standing Bear Lake provides plenty of wooded space for picnics and gatherings without being surrounded by other groups. On one end of the park, you’ll find some great picnic spots overlooking the lake. Nestled in the Missouri River Valley, the Indian Cave State Park is for the adventurous and if you can manage to hike through some of its rugged terrains, you’ll be rewarded with picnic spots with some spectacular scenery. Lots of shade and great views are what you’ll find at the picnic area at the Platte River State Park right across from the lake. There’s plenty of quiet and peaceful green space located on the East Campus at the University of Nebraska-Lincoln. In the spring, the gardens are in full bloom and you’ll have plenty of butterflies to accompany your picnic.